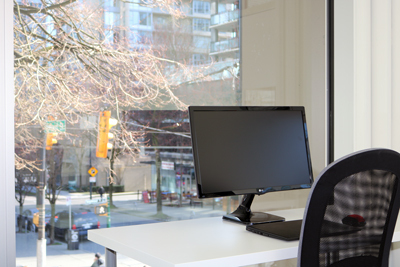 Leading Edge, Affordable And Convenient Coworking Workspace For Entrepreneurs & Local Businesses In The Heart of Downtown Vancouver. Prefer a secure work-space that you can call your own, then private office space rental is right for you. A prestigious Downtown Vancouver mailing address without the expense of pricey Downtown office rent. The local coffee shop just isn’t good enough anymore, our flexible & secure co-working space is the perfect solution. Choose a desk that will always be reserved for you all month long for however long you need it. Discounts available for 6 and 12 months commitments. Comfortable & well-equipped meeting room space. Book as needed on an hourly basis with no minimum. Choose a desk that will always be reserved for you all month long for however long you need it. Looking for an Affordable All Inclusive work-space solution for yourself or your team? Come & Check out VanCubers! We provide a comfortable, inspiring, and affordable space for individuals and small businesses to realize their unique projects and connect with a community of like-minded, forward thinking creators. VanCubers is a co-working space and networking hub in Downtown Vancouver for Creative Entrepreneurs, Startups and Freelancers. Central to Gastown, Yaletown and the business district. High ceilings, windows all around with lots of natural light. Extented Hours: Do you need to work longer hours or on the weekends? Please feel free to contact us. Group Rates: You are planing to come with some friends to use the hot desks. Ask us about customized group rates! Other: Want to share a desk with another friend or any other inquiries. Let us know about your work-space needs and we’ll make it work for you! 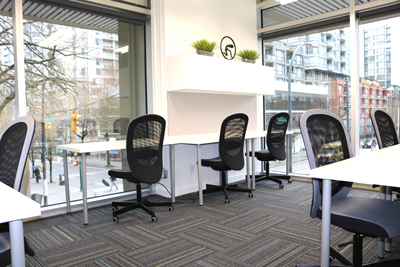 Join The Office Spaces Vancouver, It all starts with connecting with our community and access to all the amenities, high-speed internet, save on meeting room and Hot Desk bookings, plus workshop and event discounts. Who Is VanCubers Co-Working & Shared Office Spaces? VanCubers is a division of MobiBlossom Solutions Inc. A local software development start up company. Vancouver’s office rental prices are absolutely crazy, we can see why it is difficult to start a business and cover all the expenses. We understand that frustration. 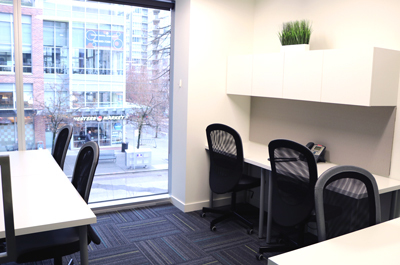 Our goal at VanCubers is to provide a class A co-working space as a greatly reduced price. 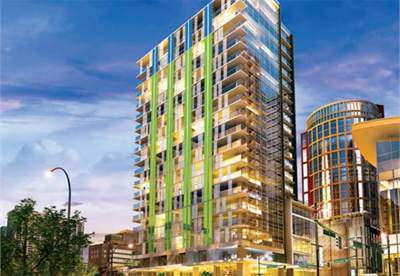 The current rental rate for the downtown core is sitting at $42.76 per square foot. This means if you require a 200 sq foot office, your monthly rent would be $8552 per month. 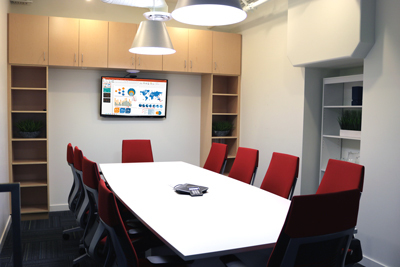 Our office is laid out in a way that our private offices can comfortably hold 5 employees in just 96 square feet. Since the rest of the office is shared, your private space is what you are paying for. But not to worry, no need to pay that hefty downtown square footage price. Check out our prices and come see the place for yourself. VanCubers is a very affordable place to rent a room for your office. Did we also mention, the furniture is included too? Typically, it is attractive to work-at-home professionals, independent contractors, or people who travel frequently who end up working in relative isolation. Coworking is also the social gathering of a group of people who are still working independently, but who share values, and who are interested in the synergy that can happen from working with people who value working in the same place alongside each other. If you like a sense of community and love social interactions with other members, it would be a great idea to try coworking. VanCubers does not sell anything. In fact we rent. We rent desks, phones, offices and even our address. VanCubers is known to be a co-working and shared office space. One of our very popular products is our hot desk. A hot desk is a desk that does not have an owner and its tenant is constantly changing. We rent desks in our hot desk room by the day, week or month. The more you work with us the cheaper the desks become. We also offer dedicated desks, for people who what a permanent place to sit, throw up a few monitors and have a place to lock up some personal work material and other company items. For those who only need an address part time, our virtual office product allows you to rent our address to place on business cards and have a place to have mail and packages arrive. Browse our website to get more details on the products and services we offer.